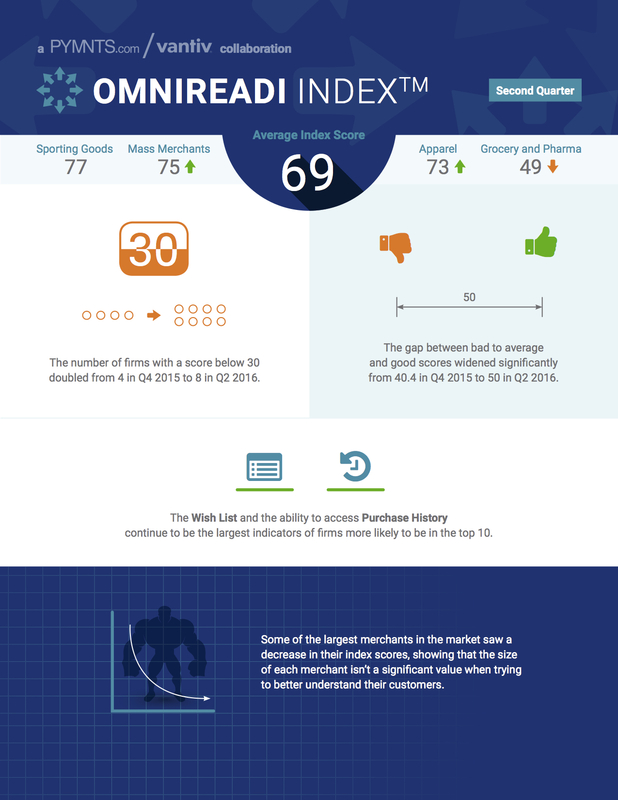 Omnireadiness on average did not increase in the first quarter of 2016. Our results from April 2016 are remarkably close to the December 2015 findings, with one major distinction: scores for the lowest tier of companies continue to spiral downward. What’s driving that decrease in omnireadiness? A combination of factors, including purchase history, wish lists, price matching and quick checkout features. Size doesn’t matter — despite their resource advantage, big companies did not fare any better than smaller ones in this edition of the Index.